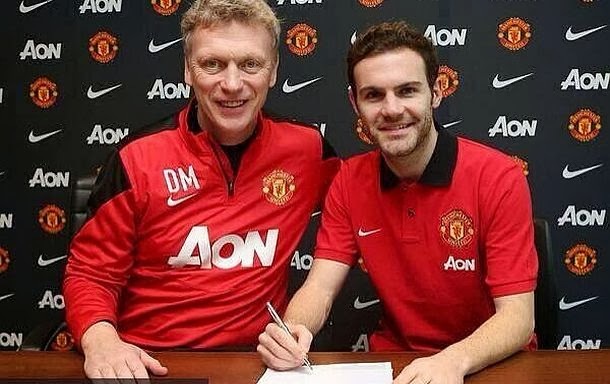 Mata has today arrived in Manchester, and after completion of the medical examination, tonight signed a contract with United. Red Devils for the Spanish midfielder paid 37.1 million pounds, but did not know on how much time he signed the contract. Apparently, according to English media, the contract for four and a half years. "I am thrilled to be joining United.I am enjoyed many happy years at Chelsea, but it was time for a new challenge. United is the perfect place for me.I am excited that I got a chance to be part of a new phase in the club's history. Chelsea is a top club and I left a lot of friends there, but you can not refuse to play for Manchester United, "said Mata. "Juan is one of the best point guard nowadays and it is a pleasure to sign a contract with him. He was crucial for Chelsea's recent successes with 28 assists and 32 goals.I am impressed his excitement as he became part of the United. Always played well against us and our fans will be delighted to now play for us, "said David Moyes, manager of United. Otherwise, Mata arrived at Chelsea from Valencia 2011th year. With Chelsea won the Champions League, FA Cup and European league. With the arrival of Jose Mourinho has lost his place in the team.